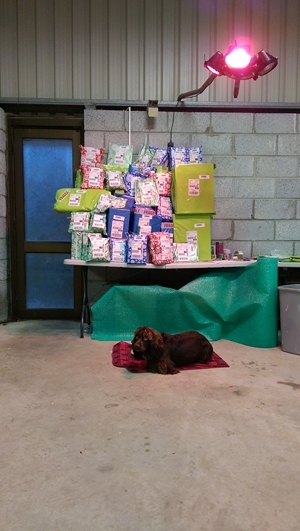 Purchase.ie Head of Security, Ralph is patiently waiting under the brand new packing area heating system minding all our customers orders whilst waiting for our DPD driver Riivo to come and take the parcels away. But how many parcels will Riivo have to collect today? Guess correctly and you could win a set of Solar Fairy Lights which will help to light up your Christmas. To enter the competition simply using the comment field at the bottom of the page to say how many parcels you think there is to be collected. The first person to guess correctly will win the prize. If we don’t have a correct answer the person with the closest answer will win. If that is a draw we will think of something else or in the spirit of Christmas send out a few prizes. Remember we can gift wrap presents for you with a personalised message still before Christmas find out about this service here. Other than that good luck, help support our Christmas homeless appeal here if you can and be aware of the Christmas online shopping deadlines here. Our DPD driver Riivo has pre-recorded the correct answer through video and we will reveal the answer and the winner on Friday Dec 18th before 5pm. 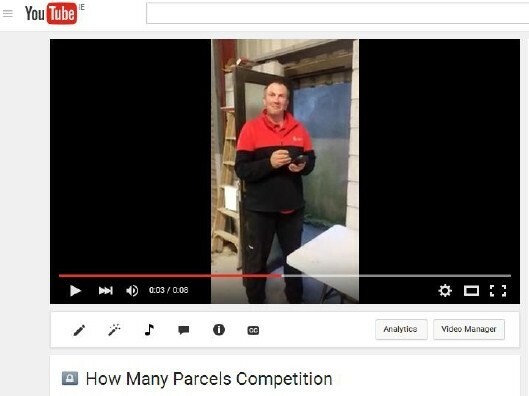 My Guess is 50 parcels!